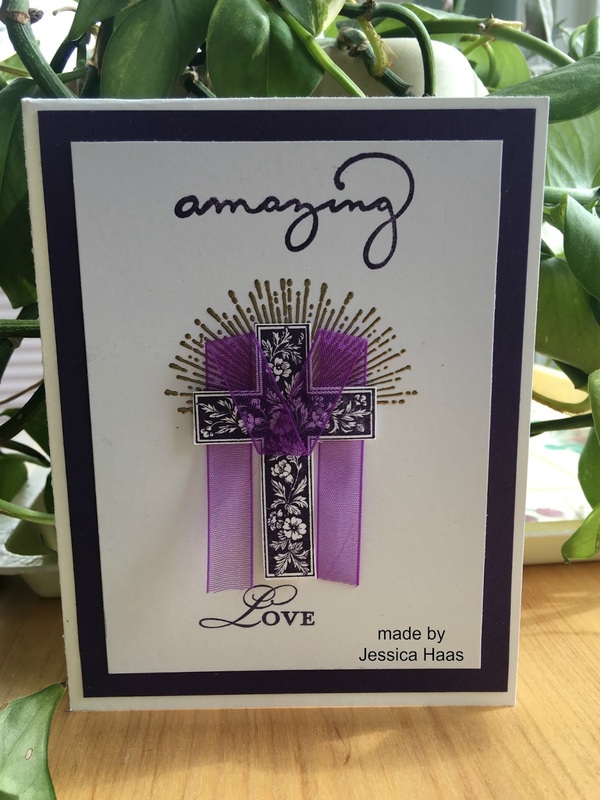 Happy Easter Card and Sale-a-bration: the LAST Day! I was thrilled to open my mail and find this lovely card made by one of my customers. It was so thoughtful of Jessica to include me in her Easter card making. Her card, was stunning in the sunlight as I photographed it to share with you all! I hope that you will have a joyful Easter with your family and friends and celebrating the victory of Jesus over death. His resurrection is our salvation! 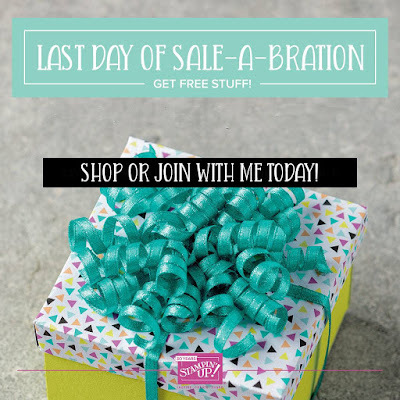 Today is the END of Sale-a-bration to shop and to join my team. There are so many great goodies! 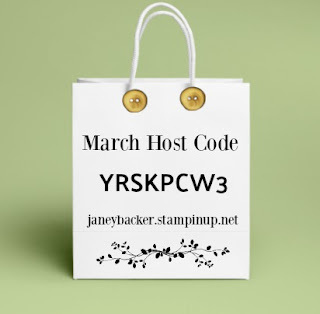 Join my team and order a Starter Kit which is $125 of products you choose and only pay $99 -plus you get to pick 2 free stamp sets from the Annual or Occasions catalogs. Click on "Join My Team" in the bar above for more information. You can order a pre-paid Paper Pumpkin subscriptions and earn free SAB gifts. I love to grab the 12 month subscription ($215) and add a few extra products to reach the $250 order total. 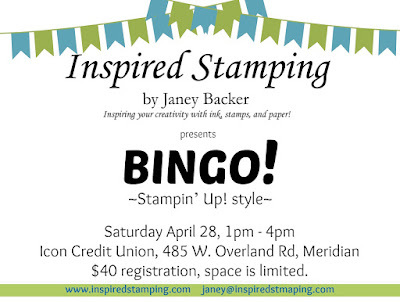 Then I earn $50 in Stampin' Rewards to spend on free product, plus I qualify for 5 free Sale-a-bration gifts. It is such a wonderful win-win as a customer! Shop here for pre-paid subscriptions. Here's another idea: stock up on the retiring 2016-2018 In Colors before they retire and sell out. Seriously, I think ink refills and card stock will be sold out by April 10th. Do not wait, you will regret missing them. There is no second chance! Shop here. 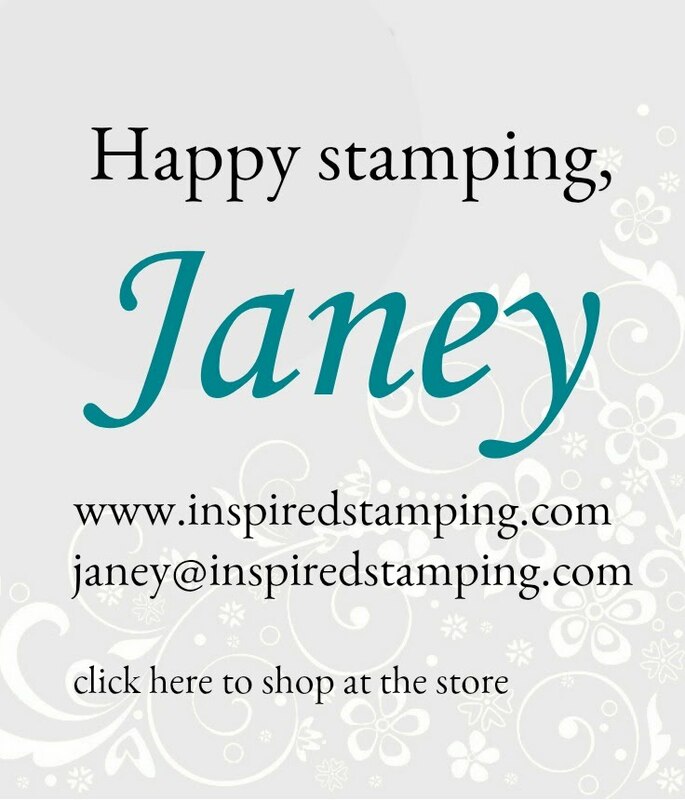 Orders of $150+ will qualify for Stampin' Rewards. I found these adorable Ghiradelli Easter bunny chocolates at the store. 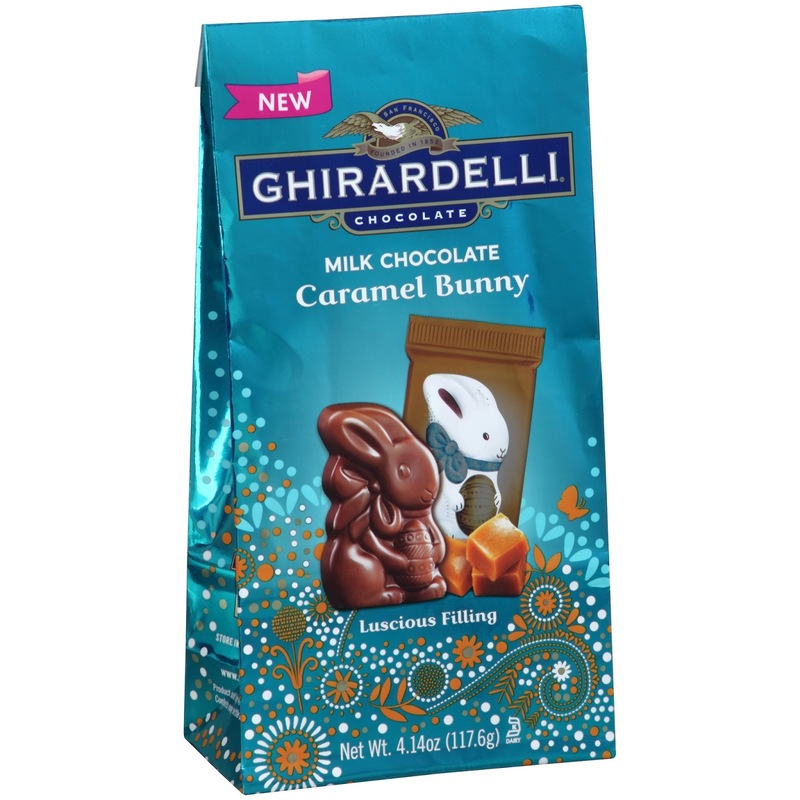 They are so cute and Ghiradelli never disappoints - so I brought them home for my next project! I decided this little bunny needed a frame. Teeny Tiny Wishes stamp set always has the perfect sentiment for petite tags. 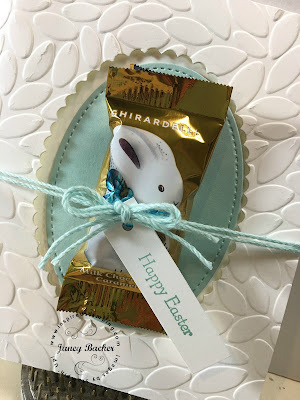 I incorporated all sorts of egg/oval themes in the design shapes: the petal burst embossing folder, layering ovals framelits, and stitched shapes ovals. 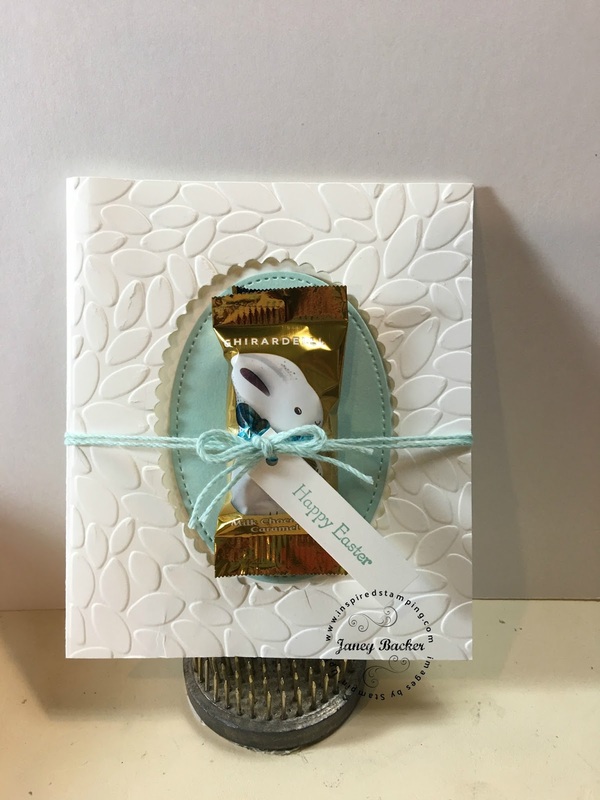 Egg theme + bunny = Easter treats! His bow is already a turquoise blue so our Pool Party was a great color for coordination in this design. Doesn't "Happy Easter" look perfect in this design (and tiny sentiment for a tiny bunny)? Teeny Tiny Wishes has so much variety for sentiments that it is a MUST have stamp set for every stamper! 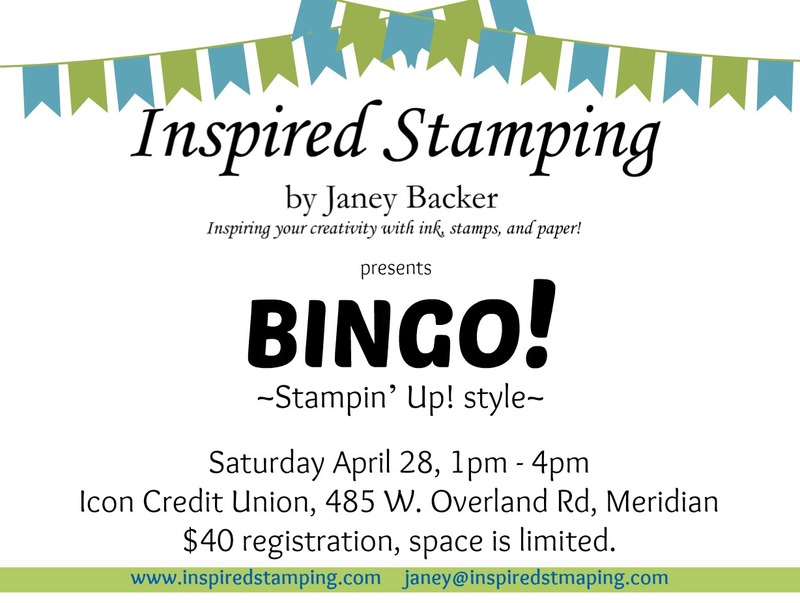 2 days left for Sale-a-bration! Get your order placed no later than Saturday, March 31st to qualify for FREE Sale-a-bration gifts: level 1 gifts for $50 orders, or level 2 gifts for $100 orders (or combinations of both). See the gift options here. Our 2016-2018 In Colors are going away soon as they retire with our Annual Catalog. Our retiring In Colors always sell out early. So do NOT delay to order yours now while selection is still available. Ink refills and card stock always sell out first, so please order them now! 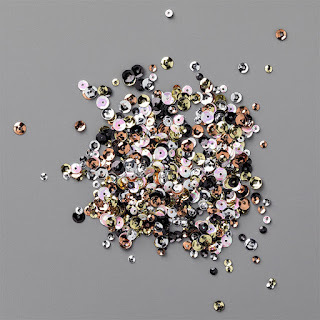 Once they are sold out, it is difficult and costly to find them from online resellers. It just makes me sad when people miss this opportunity. See our 2016-2018 product selection here and if you order now you can earn Sale-a-bration gifts with your purchase. Did I mention to order now...??? 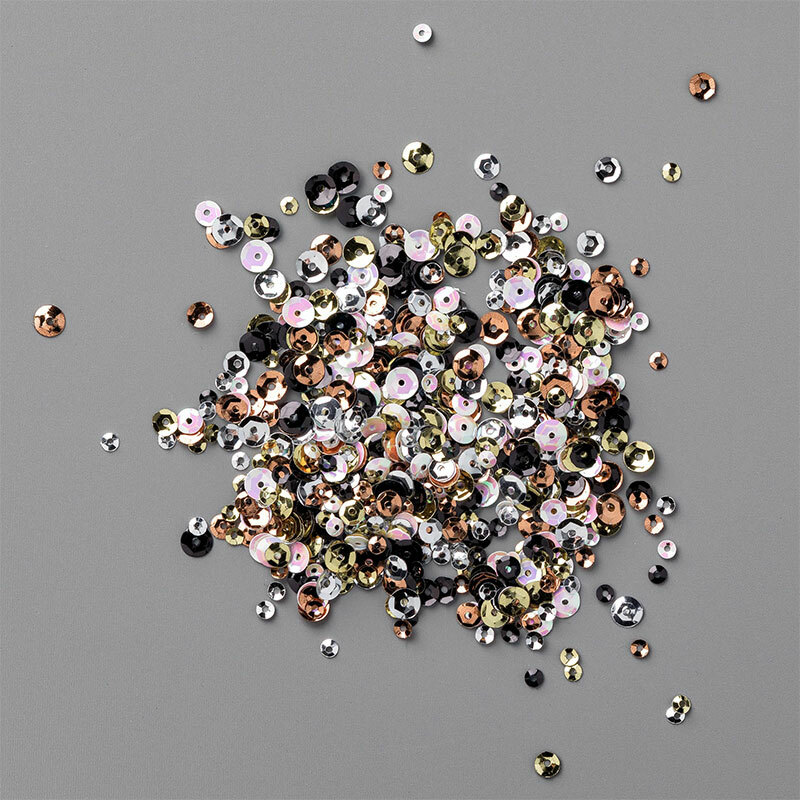 If you place an order of $75-$149.99 by March 29th, with the host code above, you will receive a package of Metallics Sequin Assortment, an appreciation gift from me.